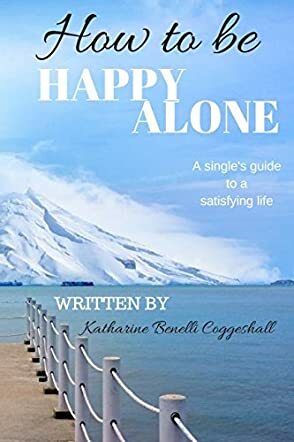 How to be Happy Alone: A Single's Guide to a Satisfying Life by Katharine Benelli Coggeshall is an insightful and motivating book for readers who are single and trying to find themselves. The book guides them to appreciate the wonders of being in single town and understand their road well so that they are able to accept it. The author encourages readers who are single to embrace their healing time and leave single town at the right time without being hasty. The book tells readers that single town is far from being deserted and time well spent there will definitely help in forming strong relationships in the future. The best thing that makes this book stand out is that the author does not ask single people to find their Mr/Ms Right, but instead guides and asks them to spend their energy in healing themselves, to embrace their single status, and become a complete person all over again. I like the manner in which the author discusses trying new things, making time for old things, and finding joy in small satisfactions like learning a new language, or taking a dance class. The book shows how much freedom and opportunity there is while being single. Reading this book is comforting and takes single people to a good space where they will become confident to try new things, take chances, and make their own mistakes. It is a must-read for all those readers who are single as it will help them embrace their singlehood and a enjoy a wonderful time of life and self-discovery.